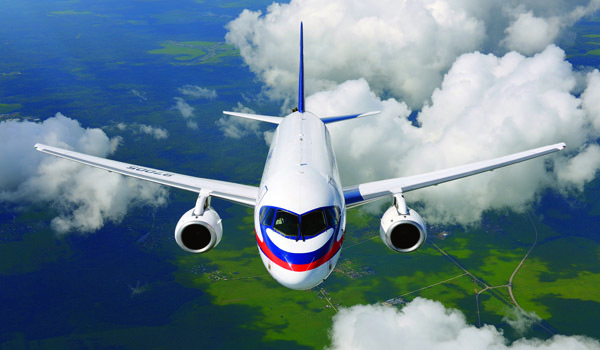 On October 8,2014 Sukhoi Civil Aircraft Company and Red Wings airline signed a rental agreement for 3 Sukhoi Superjet 100. The aircraft will be delivered by the end of 2014.Red Wings will use the aircraft to replace Tupolev Tu-204s on routes with lower passenger demand. Red Wings plans to operate the SSJ100 from Moscow to Ufa, Makhachkala, Chelyabinsk, Sochi and Mineralnye Vody. „This agreement confirms that the SSJ100, with its regional jet’s flexibility, reduced operating costs and superior comfort, is the ideal complement for narrow-bodies operators“ the manufakturer said. Red Wings Airlines, established in 1999, is a Russian airline based in Moscow. It operates scheduled and charter flights in Russia and abroad. The fleet comprises eight Tu-204. One of them crashed in December 2012 near Moscow. After this event the russian authorities suspended Red Wing’s Air Operators Certificate (AOC) but renewed it several months later. In August 2014 Red wings received an additional Tu-204 by ministry of Industry and Trade. The airline uses this plane for flights to Crimea after Dobrolet was forcedto suspend operations due to sanctions imposed by the European Union.